In a world where we’re instantly connected to others via smartphones, text messaging, web chats, and international conference calls, it’s hard to imagine the old days. Going back just a decade or so, our devices were clunky and calling costs relatively high. Calling someone on the other side of the planet was something you might do once a year due to the difficulty and huge price tag; now it’s routine, easy and cheap. But what about 100 or even 200 years ago? Though quaint by modern standards, early telecom is fascinating — and it changed the world! While Samuel Morse is credited as the inventor of the telegraph (from Greek, telegraph means “distance writing”), another telegraph system came before it, Claude Chappe’s nationwide semaphore system in France which had its heyday from 1793 to 1854. Le Systeme Chappe consisted of 534 hilltop stations with large movable arms and telescopes spanning more than 3100 miles. The arms were used to signal letters and numbers while the telescopes were used to view the signals sent from other stations. Prior to semaphores, it would take horseback riders several days to dispatch a message from Paris to the outer fringes of France. With the semaphore network, it would take just three or four hours. The fastest message sent over Le System Chappe took just 60 minutes from Paris to Strasbourg, relaying news of the birth of Napoleon’s son. No doubt, the semaphore was far more efficient than dispatch riders, but its usefulness was short-lived thanks to the invention of the telegraph and electrical signals that traveled across wires. Several inventors were involved in the development of the telegraph. Samuel Morse receives most of the credit for this invention. His single circuit telegraph sent an electrical signal across a wire to a receiver located on the other end. He also developed a code, Morse code, of long and short dots to represent letters and numbers. On the receiving end, the receiver initially made actual pen marks on paper as the message was received. These marks were later translated and transcribed by the operator. Since the operators could hear and understand the electrical signals, the receiver was later updated to produce a more distinct beeping sound and the pen and paper mechanism phased out. Where the semaphore took hours to send a message across thousands of miles, the telegraph sent messages almost instantly once the infrastructure was in place. Western Union Telegraphy Company laid the first transcontinental line in 1861. 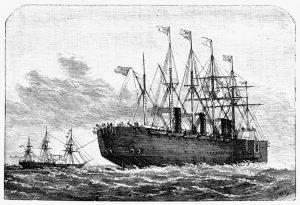 By 1866, the first permanent transatlantic telegraph cable was placed in the Atlantic Ocean, making international telegraphy a reality. As you can imagine, near-instant telecommunications changed how business was conducted, how wars were fought, and even how money was exchanged. Alexander Graham Bell would invent yet another world-changing invention. He wanted to improve telegraphy, dispensing with the codes and the required trip to a telegraph office in order to receive a message in favor of the transmission of audible words. His experiments worked, and Bell patented the telephone in 1876. As wonderful as it may have been, it took 52 years before the telephone was finally moved from the telegraph room into the Oval Office. Meanwhile, scientists were theorizing on another topic, electromagnetic waves. In 1888, Heinrich Hertz proved that radio waves existed, a theory originally put forth by James Clerk Maxwell. He also proved that the velocity of electromagnetic waves was the same as the velocity of light — and thus, could circle the earth eight times in a single second. Hertz tinkered with an oscillator that would send out waves of a certain length and a receiver that would tune in and receive only waves of that same length. To produce the electromagnetic waves, Hertz combined metal’s capacity to retain a charge of electricity with inductance which involves sending a constantly changing current through a coil of wire. He adjusted the capacity and inductance so that the waves had the same frequency of motion, or oscillations. The receiving station (typically a tall mast with a single wire or set of wires, aka an antenna) would be tuned to vibrate to those waves. Once tuned, it could then intercept those waves and transform them back into their original electrical oscillations. This early wireless technology was improved upon in the late 1880s by Guglielmo Marconi of the Marconi Wireless Telegraph Company. His wireless telegraph company could handle transmissions spanning distances of ten miles or more — including a wireless transmission across the English Channel and between ships. The company had agreements with several governments and Lloyd’s to erect coastal stations to complement the wireless stations used on shipping lines. Having studied Hertz’s theories, Marconi understood the potential for long distance wireless transmissions. He was the first to connect an antenna to the transmitter (and not just the receiver), allowing for a much larger wireless field. He demonstrated his theories with a wireless telegraph located on Signal Hill near St. John’s, Newfoundland in 1901. The apparatus had an ordinary telephone receiver at its side. A wire from the machine led outdoors to a large kite flying 400 feet above. He held the receiver to his ear, waiting for the Morse code signal to arrive from Poldhu, England. The tapper struck the coherer on the apparatus, signaling that a message was coming. Indeed, soon after, the sounds of Morse code could be heard over the telephone receiver. The transatlantic wireless transmission was a success! Turns out, that while transmission worked, Marconi’s theory that the radio waves would follow the earth’s curvature was incorrect. The signal was actually headed to outer space, but deflected by the ionosphere back to Newfoundland. From ancient smoke signals, dispatch riders, and semaphores to the telegraph, telephone, and wireless and Internet technologies, mankind has a long tradition of telecommunications. Whether used for staying on top of the latest news, conducting business, diplomatic purposes, or simply staying in touch, we can thank the long line of inventors such as Samuel Morse, Alexander Graham Bell, Heinrich Hertz, and Guglielmo Marconi, just to name a few, for the technologies we use today. “Alexander Graham Bell – Inventions – HISTORY.com.” Accessed July 10, 2017. http://www.history.com/topics/inventions/alexander-graham-bell. “File:Chappe Semaphore.jpg – Wikimedia Commons.” Accessed July 10, 2017. https://commons.wikimedia.org/wiki/File:Chappe_semaphore.jpg. “From Telephones to Twitter, the White House Has a Fascinating History of Tech Upgrades | Jacksonville News, Sports and Entertainment | Jacksonville.com.” Newspaper. Accessed July 10, 2017. http://jacksonville.com/news/national/2017-06-29/telephones-twitter-white-house-has-fascinating-history-tech-upgrades. “From Telephones to Twitter, the White House Has a Fascinating History of Tech Upgrades | Jacksonville News, Sports and Entertainment | Jacksonville.com.” Accessed July 10, 2017. http://jacksonville.com/news/national/2017-06-29/telephones-twitter-white-house-has-fascinating-history-tech-upgrades. “Hayes Has First Phone Installed in White House – May 10, 1877 – HISTORY.com.” Accessed July 10, 2017. http://www.history.com/this-day-in-history/hayes-has-first-phone-installed-in-white-house. 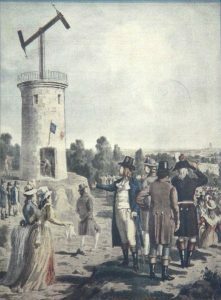 “How Napoleon’s Semaphore Telegraph Changed the World – BBC News.” Accessed July 10, 2017. http://www.bbc.com/news/magazine-22909590. “Marconi Sends First Atlantic Wireless Transmission – Dec 12, 1901 – HISTORY.com.” Accessed July 10, 2017. http://www.history.com/this-day-in-history/marconi-sends-first-atlantic-wireless-transmission. “Marconi Wireless Telegraph Co.” The Republic, November 15, 1903. “Maxwell and Hertz.” Accessed July 10, 2017. https://science.hq.nasa.gov/kids/imagers/ems/consider.html. “Morse Code & the Telegraph – Inventions – HISTORY.com.” Accessed July 10, 2017. http://www.history.com/topics/inventions/telegraph. “Nikola Tesla – The Father of Modern Telecommunications | SWG, Inc.” Accessed July 10, 2017. https://swginc.com/nikola-tesla-father-modern-telecommunications/. “President Rutherford Hayes.” Accessed July 10, 2017. http://www.classroomhelp.com/lessons/Presidents/hayes.html. Rubert Holland. 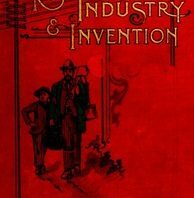 “MARCONI AND THE WIRELESS TELEGRAPH 1874-.” In Historic Inventions. GEORGE W. JACOBS & COMPANY PUBLISHERS, 1911. http://www.gutenberg.org/files/42517/42517-h/42517-h.htm#XV. 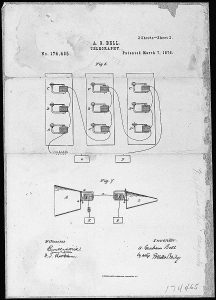 “Telephone &amp; Light Patent Drawings | National Archives.” Accessed July 10, 2017. https://www.archives.gov/education/lessons/telephone-light-patents. 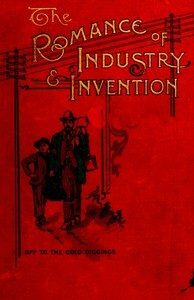 “The Project Gutenberg eBook of The Romance of Industry and Invention, by Robert Cochrane.” Accessed July 10, 2017. http://www.gutenberg.org/files/38329/38329-h/38329-h.htm#Page_281.n.d. If you’re looking for an easy and affordable way to establish a local presence in Dominican Republic, international call forwarding numbers are one option. Not only can you quickly establish your business in the country, you can do so without having an actual physical location. With international call forwarding, you get a phone number that is local to people in the Dominican Republic; however, the calls that are placed are actually forwarded to another country. For example, if you have an office in the United States, but offer managed IT services to businesses in Dominican Republic, you could use international call forwarding to route sales and technical support inquiries to your US office. Our Dominican Republic call forwarding numbers are “virtual” numbers. They are never tied to a physical location. Instead, you assign a “ring to” or “destination” phone number to your virtual Dominican Republic number when you set up your account. Our Dominican Republic call forwarding numbers can ring to any phone, anywhere. We can route your Dominican Republic calls to virtually any phone, anywhere in the world — and you can change the destination phone number as needed. You can even change the ring to number automatically based on the time of day the call is placed. Our international call forwarding service is available without a contract. Whether you need the virtual phone number for a quick campaign or for a long-term project, our month-to-month plans are flexible and affordable. You’ll start by choosing an allotment of monthly minutes based on how much usage you anticipate. If you need more minutes, our per minute rates are competitive. Optional rollover minutes are available. As your needs change, you can upgrade or downgrade your plan without penalty. There’s also no penalty for canceling the service. You get loads of advanced features with our international call forwarding plans including: local ringtones, PBX and voice response features, personalized greeting, voicemail boxes, forward faxing, simultaneous ringing, sequential forwarding, select country call forwarding, and more. Optional features like rollover minutes and call recording are also available. 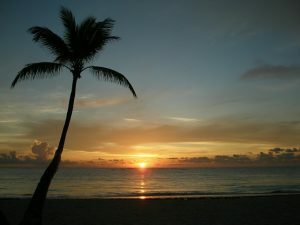 How will you use international call forwarding in Dominican Republic? Slovakia is a high-income country of more than 5 million with a market-driven economy. 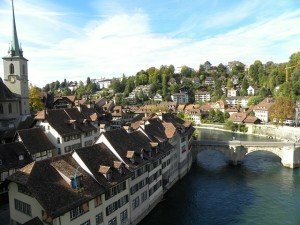 It is also a full member of the European Union — and considered one of Europe’s most attractive locations for doing business according to EY.com‘s Doing Business in the Slovak Republic report. If you plan on doing business in Slovakia, you’ll need to register your business with the Slovak Commercial register — and you should consider ordering Slovakia remote call forwarding numbers. What are Slovakia Remote Call Forwarding Numbers and Why Do You Need Them? A Slovakia remote call forwarding number allows you to receive calls in your own country from callers located within the Slovak Republic. To your callers, the phone number will look like any other phone number in the nation complete with the national code or toll free code (if you opt for toll free Slovakia remote call forwarding numbers). Meanwhile, those calls will be remote call forwarded to the phone of your choice within your home country or any other country in the world. For example, if you have a call center in Mexico, you could set up your toll free Slovakia remote call forwarding number so that it rings in your Mexican call center. Your callers will feel as if they’re dialing a business inside Slovakia, yet their calls will be answered in Mexico. Why go through all this trouble? Imagine giving your Slovakian callers a direct phone number to reach your call center overseas. How many do you think would actually call you? Most will immediately recognize the number as not being local to Slovakia. With that recognition comes perceptions. Some will worry about the potential cost of calling your business overseas; others will be put off at the prospect of dialing a foreign company; others will be intimidated and worried about needing operator assistance to make the call; others might worry about time differences. Instead of dealing with all of the objections, you could simply use a Slovakia remote call forwarding number. Our remote call forwarding plans are offered on a month-to-month basis with low per minute rates, no contracts, no cancellation fees, and a host of advanced features such as time of day routing, PBX features, automated voice response features, voice mail to email, and more. Optional call recording and rollover minutes are also available. In addition to all of our features and benefits, our Slovakia remote call forwarding phone numbers are routed over modern fiber optic networks for exceptional call quality no matter where you are in the world. Are you using international remote call forwarding numbers in your business? Creating a virtual Estonia office with your international call forwarding numbers is a great way to overcome these objections and facilitate communications. 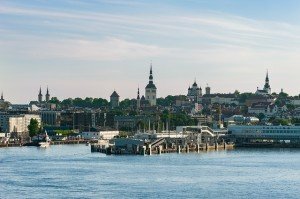 Did you know that Estonia ranks eighth in the world in terms of economic freedom — and number one in the European Union? This is according to the 2015 Index of Economic Freedom. The World Bank ranks Estonia in 17th place in the world in terms of “Ease of Doing Business.” Coupled with a stable government and moderate costs, it may make sense to explore the Estonian marketplace. If you do, we highly recommend getting some Estonia virtual phone numbers as part of your business expansion. Here’s what you need to know about using virtual phone numbers in Estonia. What are Estonia Virtual Phone Numbers? Estonia virtual phone numbers are virtual numbers in the sense that they are not “tied” to a physical phone. Because they are virtual, you can assign them to ring to just about any phone in existence. For example, you could have your Estonia virtual phone number ring to your main office, your mobile phone, or even your home or hotel phone. Moreover, the physical phone you designate as your “ring to” number can be located anywhere in the world — not just in Estonia. Why Use an Estonia Virtual Phone Number? Estonia virtual phone numbers look and act like regular Estonia telephone numbers. They’re available in toll free Estonia and Estonia national versions with the 372 national prefix. Because they look like any other phone number local to Estonia yet ring to any phone in the world you designate, you can use these virtual phone numbers to create a local phone presence in Estonia. For example, if you export goods to Estonia and would like your customers to be able to contact your office for customer service or technical support, they’ll appreciate a local or toll free number. In fact, they may hesitate to call your office if you list a number in another country. Creating a virtual Estonia office with your international call forwarding numbers is a great way to overcome these objections and facilitate communications. As you explore the Estonian marketplace, you may find it useful to share your Estonian virtual number with your new contacts, Estonian business partners, and local authorities. By giving them local phone numbers where you can be reached, you are also sending them a subtle message about your intentions. That message is this: You are serious about doing business in Estonia! They will see that you’ve taken the time to set up a business presence in their country. They’ll also appreciate not having to make international long distance calls in order to speak with you once you’ve returned to your home country. Getting virtual phone numbers for Estonia and other countries is easy. Our virtual phone number plans are available on a no-contract basis — and they’re loaded with features like time-of-day routing, local ring tones, HD audio quality, advanced call forwarding, advanced IVR/PBX, and more. Optional call recording and rollover minutes are also available. How will you use Estonia virtual phone numbers as you explore the Estonia market? When your prospects and customers in Trinidad and Tobago see the toll free number, they’ll recognize it as being just like any other toll free business number in their country. 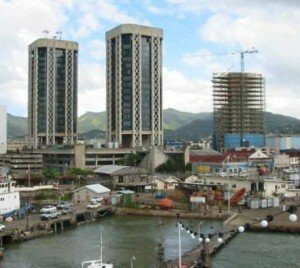 Are you thinking about doing business in Trinidad and Tobago from afar? Home to just over 1 million residents, the CIA World Factbook notes that the Trinidad and Tobago region has one of the highest per capita incomes in the Caribbean and Latin America. Many businesses use virtual phone numbers in Trinidad and Tobago to set up a local presence yet keep their physical offices where they are. This is a great way to serve the Trinidad / Tobago market while keeping your costs low. Do You Really Need a Local Office? In many cases, the answer is no. For example, if you run an online store and will be shipping your goods to your customers in Trinidad and Tobago, it may not be necessary to rent office space and hire local employees. Likewise, digital services such as Web development or graphic design, can be delivered electronically — once again, there’s no need to have a brick and mortar presence. If you’ll be using a local distribution network, you can still get away with an offshore office by using a toll free virtual phone number for Trinidad and Tobago to route customer calls to your call center. Let’s say that you’re a web developer based in Ireland who has decided to offer your services in Trinidad and Tobago. You realize that you don’t need an actual office in order to deliver your services, but you need to be able to speak with prospects and customers. You also know that most would hesitate to call you in Ireland. Thus, giving them your main phone number is not an option. What you need is a toll free Trinidad and Tobago virtual phone number that is set up to ring to your Ireland office. When your prospects and customers in Trinidad and Tobago see the toll free number, they’ll recognize it as being just like any other toll free business number in their country. It will look familiar — and there will be no costs to the caller. Meanwhile, when they do call you, your phone in Ireland will ring. You’ll be able to learn about their project requirements and answer questions as if you were right there in Trinidad or Tobago. Because our virtual numbers are routed over an HD quality fiber optic network, the call quality is exceptional. Unless you tell them you’re in Ireland, they’ll never know that they’ve just dialed internationally. These are but a few of the many benefits of using virtual numbers for Trinidad and Tobago. We bet you can add a few to the list. Rather than establishing a second call center or even a branch office in Cyprus, you’d simply publish your Cyprus call forwarding number and forward those calls to your call center in Italy. 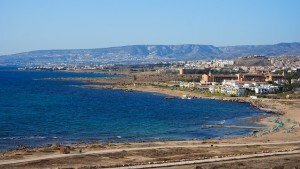 Cyprus is an island nation in the Mediterranean with a large population and a rich history. If you’re thinking of doing business with Cyprus, consider ordering Cyprus call forwarding as you explore the market opportunities. What is Cyprus Call Forwarding? Cyprus call forwarding is a way to route your calls from Cyprus to any phone in the world. When you get a Cyprus call forwarding number, your business will look as if it has a physical location in the country thanks to its local or toll free phone number. Yet, you’ll be able to receive those calls in any other country. For example, let’s say you already have a well-staffed call center in Italy and would like to start serving customers in Cyprus. Rather than establishing a second call center or even a branch office in Cyprus, you’d simply publish your Cyprus call forwarding number and forward those calls to your call center in Italy. Being able to establish a local presence in another country without investing in infrastructure or personnel is one of the biggest benefits of using international call forwarding numbers. However, it’s not the only one. • Affordable way to test the market — Not sure if the Cyprus market is a good fit for your business? Using Cyprus call forwarding numbers is a low risk choice, especially if you sign up for a pay-as-you-go Cyprus call forwarding number. With no contracts and no termination fees, you can test the market for a short term. If you decide to exit the market, you can cancel your number at any time with no negative repercussions. • Built-in flexibility — Many international entrepreneurs appreciate the flexibility of international call forwarding numbers. Since you can change the destination number at any time, you can route your incoming Cyprus calls to different phones as needed. For example, if you intend to personally handle all Cyprus call forwarding calls but work out of your home office on some days and your main office on others, you could change the ring-to number based on which office you are work from on any given day. Built-in “time of day” routing features are also included, allowing you to designate different phone numbers (or voice mail) based on the time of day the call is made. • Professional appearance — Cyprus call forwarding numbers include a variety of PBX-like features that immediately give your business an image boost. You will look and sound more professional when you take advantage of these features. • Optional features — Optional features, such as rollover minutes and call recording, are also available, allowing you to customize your Cyprus call forwarding account to best meet your needs. If you do business with Cyprus, or are thinking about entering the market, adding a Cyprus call forwarding number is an affordable choice that can make a big difference in the success of your company. How have you used call forwarding numbers when expanding into new markets? If you give your Costa Rica customers your US phone number, they may hesitate to call you because they’re worried about the potential cost of the call. 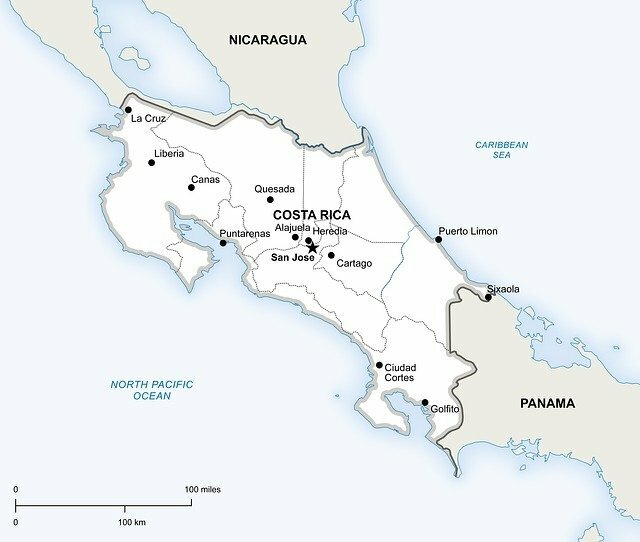 The United States is Costa Rica’s largest trading partner, with US imports accounting for about 47 percent of Costa Rica’s imports. If you’re thinking of doing business in the Costa Rican market, consider taking it one step further by using international call forwarding numbers. Costa Rica, like just about every other country in the world, has its own “local” phone numbers and toll free numbers. In order to dial out of the country, callers need to enter the county’s exit code followed by the country code of the country they are calling. Plus, if they’re calling a toll free number for the other country, the toll free number won’t work. Not only that, the other country may use a different numbering convention, further adding to callers’ confusion. That just covers the logistics of making an international phone call; it doesn’t address another factor: cost. If you give your Costa Rica customers your US phone number, they may hesitate to call you because they’re worried about the potential cost of the call. An international call forwarding number solves all of the problems listed above (and delivers a variety of additional benefits). To your callers in Costa Rica, international call forwarding numbers look like any other Costa Rica phone number. You can choose either a toll free Costa Rica call forwarding number or a national one with the 506 area code. Your callers won’t need to worry about exit codes, country codes, or costs. They’ll simply pick up the phone and call your business. Add credibility to your business. Your business will look more professional if it has a toll free number. Give your business the appearance of being local. If you have a Costa Rica call forwarding number listed on your website, products, and marketing materials, your business will look as though it has an established local presence in the country. This can instill greater confidence in consumers who might otherwise hesitate to place an order with an out-of-country supplier. Eliminate concerns about calling an international company. Why put up barriers to communications when you could simply order a pay-as-you-go international call forwarding number? Our rates are extremely competitive, and you can order buckets of minutes with an optional rollover option without a contract. Finally, international call forwarding numbers for Costa Rica are extremely flexible. Whether you want the calls routed to a central call center, to your main office, your mobile phone, to voice mail, or anywhere else in the world, you can easily designate – and change – your destination phone number. 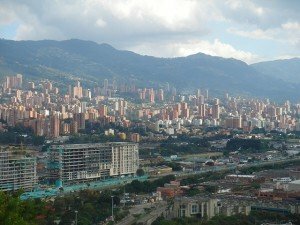 Exporting your goods and services to Costa Rica could be a smart business move. Make it even smarter by establishing a local presence with international call forwarding numbers. How will you put international call forwarding to good use? If you currently have remote call forwarding numbers within the United States, you already have an understanding of how beneficial call forwarding numbers are. However, did you know that you can use USA virtual numbers around the world? If you’re in the United States but do business overseas, one of the smartest — and most affordable — investments you can make is in an international virtual number. USA virtual numbers can be created for dozens of countries but set up so that they ring to your office in the US. How Can You Use USA Virtual Numbers? Establishing a local presence in an offshore country is one of several ways that businesses in the United States use virtual numbers. For example, let’s say that you run a small web development agency in the United States and would like to begin offering your services in an emerging country such as Brazil. Instead of renting office space in Brazil, getting a landline, and staffing your Brazilian office, you could simply get a local virtual phone number (or a toll free one) for Brazil and set your ring-to destination to your USA phone. To your customers in Brazil, your USA virtual number looks local, eliminating cost concerns immediately and helping to generate more calls. Another way you could use a USA virtual number is to set up a toll free hotline with a recording. In countries with limited Internet access, getting information isn’t as easy as we’re accustomed to. If you provide informational services, you could create a recording directly from within your USA virtual numbers account and set up your auto voice response system accordingly. From there, publish the toll free number in the target country and begin sharing your message. If you travel frequently, you could use your USA virtual numbers when visiting your target markets. For instance, if you’ve already set up a virtual number for Brazil and will be spending a few weeks touring factories and networking with local business contacts, you could make cheap phone calls back home by setting up the ring-to number so that it rings to the appropriate person in the USA. From there, dial your virtual number and connect with your US-based contacts. You’ll get your same low international call forwarding rates and be able to dial a toll free number when in Brazil. If you use your USA virtual numbers to make cheap international calls, make sure to change your ring-to number back to the desired phone number when you’re done. Whether you want to expand your market, better serve international customers, or make cheap international calls, getting a USA virtual number is a great way to do so. Test the waters by signing up for an affordable, month-to-month plan with no contract. Have you ever used a virtual number to make a cheap international phone call? 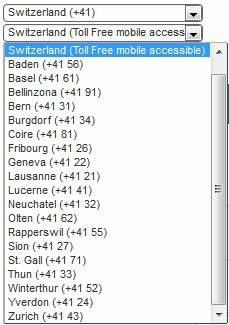 Should You Use One or Two Toll Free Belgium Virtual Phone Numbers to Accommodate Language Differences? By using two Belgium virtual numbers, your customers will be immediately connected to a customer service representative who speaks the predominant language. 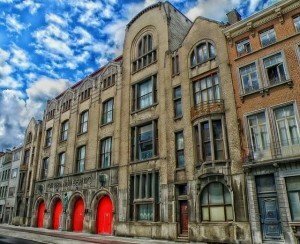 Belgium is an interesting European country whose population is divided into two main groups: the Dutch-speaking Flemish community and the French-speaking Walloon community. Because of these language differences, establishing either one or two toll free Belgium virtual phone numbers may make sense for your business. Why Use Two Toll Free Belgium Virtual Phone Numbers Instead of One? When you establish a toll free virtual phone number in a country other than your own, it’s smart to set the destination “ring to” number to a specific phone line in your call center or office. That way, all calls coming from your virtual phone number in Belgium can be routed to a specific customer service representative who speaks the language and is familiar with the country’s nuances and business etiquette. However, when you have callers from Belgium, you’ll need both French-speaking and Dutch-speaking representatives to field those calls. Having individual Belgium virtual phone numbers for the north (where Dutch is primarily spoken) and south (where French prevails) is one of the more efficient ways to divert the calls to the correct customer service representative. Having two Belgium virtual phone numbers does add some complexity to your marketing strategy as you’ll need to ensure that the appropriate virtual phone number is advertised in the appropriate geographical regions. If you’d rather keep it simple with just one toll free virtual phone number for Belgium, you can definitely do so. Use the voice response system to prompt callers to select their language preferences. When callers who speak French call your Belgium toll free virtual phone number, they’ll be able to press “1” or “2” (depending on how you set up the IVR system) to be connected to a French-speaking agent. The same is true of callers who speak Dutch. It’s ultimate up to you to decide which option makes the most sense for your business. Since there are two distinct language differences between the north and the south, you’d likely need to publish your marketing materials in different languages anyway. Having separate numbers for the north and south shouldn’t cause too much confusion amongst your marketing personnel. The cost difference between maintaining one or two individual toll free virtual numbers for Belgium is minimal as you essentially pay by the minute. Think about the customer experience as you decide. By using two Belgium virtual numbers, your customers will be immediately connected to a customer service representative who speaks the predominant language. This is more welcoming than an automated prompt, and it feels more local. Author 1118-signalPosted on July 29, 2015 Categories Global Call Forwarding, virtual numberTags call divert, call forwarding, international call forwarding, virtual numbersLeave a comment on Should You Use One or Two Toll Free Belgium Virtual Phone Numbers to Accommodate Language Differences? Toll free numbers, in general, add credibility to any business. Thus, getting a Bahrain toll free number further cements your reputation. 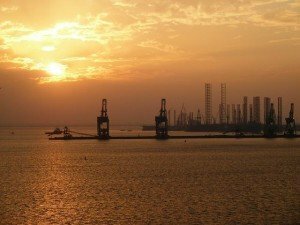 Do you offer business consulting services to clients located in Bahrain? Virtual call forwarding numbers are a great way to improve communications – and your business as a whole. Why Use Bahrain Virtual Phone Numbers? As you know, there are many ways to deliver consulting services. 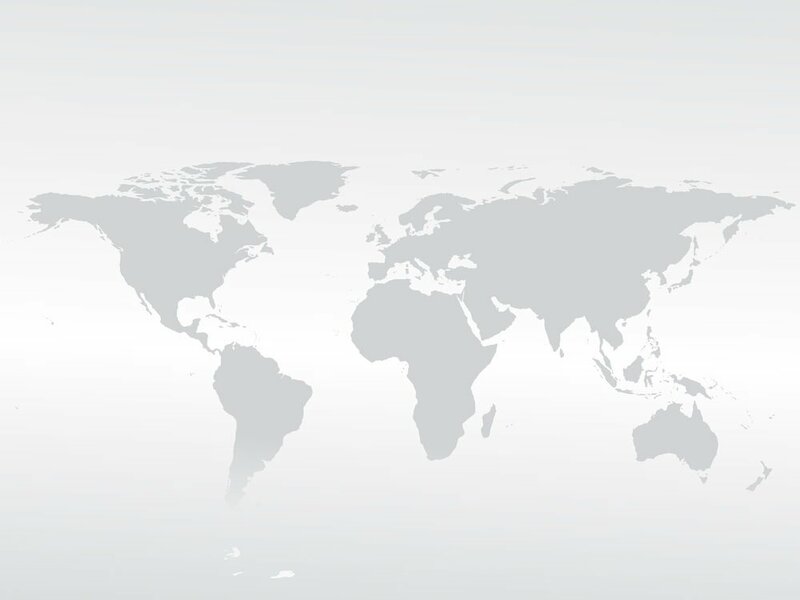 If you’re located outside of Bahrain with clients inside the country, options include: in-person (which requires traveling to Bahrain and incurring associated travel costs), videoconferencing (which requires both parties to have videoconferencing equipment), Skype (which requires Skype accounts and webcams), and phone calls (which requires international phone calls). Each of the above options has its downsides which tend to fall into two categories: expensive or equipment required. Using Bahrain virtual call forwarding is an alternative that immediately puts your clients at ease. Get a Bahrain virtual phone number – You can either get a toll free number for Bahrain or a local one with the 973 area code. Either way, your clients will view this virtual phone number as being local because it is local to their country. Set up your ring to number – Because it’s a “virtual” phone number, your Bahrain call forwarding number can ring to any phone number in the world that you designate as its ring to number. This can be your office phone number in Los Angeles, California, your hotel room phone number in Bali, your personal mobile phone, or any other phone you may use. You can even change your ring to number as needed. Give your Bahrain virtual call forwarding phone number to your clients – Whether you’re prospecting for customers, scheduling consultations, or leaving a message asking for a returned phone call, give out your Bahrain virtual phone number. As global as the business world has become, there’s still an aversion to dialing international phone numbers. In some cases, there’s a legitimate concern about the potential cost of placing an international call. In others, there’s uncertainty about how to make the call because international phone numbers look different from domestic ones. In others, there may even be a preference for working with someone local. With Bahrain virtual call forwarding, you can build a communications channel that works for all of your clients while also adding credibility to your business. How have you used virtual call forwarding in your business? Use automatic call recording to evaluate the performance of your staff, record contract negotiations, record customer complaints, and more. Wondering how you can use Uzbekistan virtual phone numbers to improve your business relationships with others? Below are a few use cases for virtual numbers in Uzbekistan. 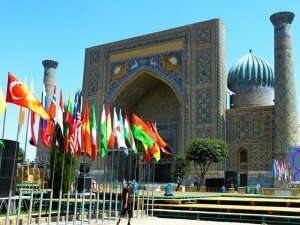 Facilitating cross-border relationships — The landlocked Republic of Uzbekistan is surrounded by five countries (Kazakhstan, Tajikistan, Kyrgyzstan, Afghanistan, and Turkmenistan), making the use of Uzbekistan virtual phone numbers an essential tool for any local businessperson doing business with the country’s neighbors. By establishing virtual phone numbers for each of these countries, you can more easily receive customer inquiries, business calls, and other calls from Kazakhstan, Tajikistan, Kyrgyzstan, Afghanistan, and Turkmenistan. Your Uzbekistan virtual phone numbers would look like local numbers to your international callers. However, they would actually ring to your office in Uzbekistan. Creating a sophisticated “PBX” phone system — Our virtual phone number plans include sophisticated features such as advanced interactive voice response, customized greeting, local ringtones, select country forwarding, voicemail, sequential call forwarding, and more. You can set up your Uzbekistan virtual phone numbers to best meet your business needs — and have the flexibility to take your entire PBX with you as your needs change. There’s no hardware to buy, yet you get many of the same advanced features. Keeping a voice record of your interactions — An optional call recording feature is available with Uzbekistan virtual phone numbers. With this feature enabled, you can set up your virtual phone number to automatically record all incoming calls (or a percentage of them). With automatic call recording, you don’t have to remember to record your calls. Use automatic call recording to evaluate the performance of your staff, record contract negotiations, record customer complaints, and more. Because laws vary from one government to the next, you may want to research the legal requirements for recording incoming calls with the countries involved. 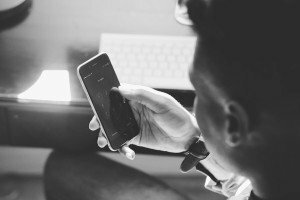 In general, it is considered a good practice to disclose call recording and its intended purpose. This can be done via your virtual phone number’s custom greeting feature. Setting up an Uzbekistan presence — If you operate a business outside of Uzbekistan, virtual phone numbers can be used to receive calls from people within the country. For example, let’s say that your main office is in Australia but you are selling goods and services to customers in Uzbekistan. With an Uzbekistan virtual number, your customers can dial a toll free number for Uzbekistan yet reach your team in Australia — all without having to dial international country codes or worry about the cost of the call. Having a toll free Uzbekistan virtual number makes your business appear as though it is operating inside the country. This is a fantastic way to serve a market without having to invest in office space, local staff, and extensive travel. These are a few examples of how you could use Uzbekistan virtual phone numbers. We’d love to hear more ideas. Using a British Virgin Islands call forwarding number in this manner allows you to take advantage of your existing staff and facilities back home and keep your costs down. 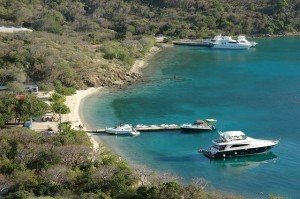 According to the Government of the British Virgin Islands, if you intend to do business in the British Virgin Islands, you’ll need a trade license. If you are an individual from outside the territory – even if you are a British citizen – and intend to work there, you’ll need a work permit. Once you’ve established your business and fulfilled all of the obligatory business filing details, you’ll need a convenient means of communicating with your colleagues, partners, customers, and other individuals around the world. Both international conferencing calling and international call forwarding in the Virgin Islands can help. Use the tips below to communicate with international business associates from the British Virgin Islands. 1. Make calling your BVI business easy with virtual phone numbers – As savvy as your business contacts may be, they may have an aversion to calling foreign phone numbers. First, there’s the cost concern. People who have never called the British Virgin Islands will wonder how much it will cost to call you. Some will overestimate the cost of the call and avoid dialing altogether. Even if money were not an issue, the phone number will look different to overseas callers. Those who rarely make international phone calls to the British Virgin Islands, or anywhere else for that matter, may not understand the appropriate procedure for dialing out of their countries. British Virgin Island virtual phone numbers solve these problems. For example, if most of your contacts are in the UK, you could get a UK virtual number and set it up so that it rings to your British Virgin Islands office. To your British contacts, your British Virgin Island virtual phone number looks and acts like any other UK phone number. Calling you is as easy as calling a local business. 2. Be mindful of time differences – Chairing a British Virgin Islands conference call is a great way to bring together a geographically diverse team into a group phone call. However, with participants located in various time zones, you’ll need to be mindful of these time differences when scheduling a conference call. For example, since there’s a five-hour difference between the British Virgin Islands and London, you may want to schedule a conference call with your UK team to take place at 10 a.m. BVI time, which would be 3 p.m. their time. 3. Leverage existing resources – If you’ve built a qualified staff of customer service representatives at your home office, it often makes more sense to use remote call forwarding numbers in your new market than it does to establish physical numbers and staff a call center. For example, you could establish a local British Virgin Island call forwarding number for your island business and route those calls to your main office in London. Using a British Virgin Islands call forwarding number in this manner allows you to take advantage of your existing staff and facilities back home and keep your costs down. Do you have any communications tips for those doing business in the British Virgin Islands? Share your tips with us on Twitter. 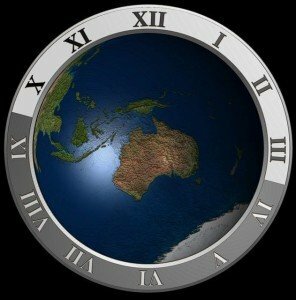 Will Your North American 1-800 Number Work in Australia? Overcome potential barriers to trust (such as foreign phone numbers) by getting your own local call forwarding numbers for Australia. Setting up a local presence in Australia is attractive to North American businesses of all sizes for a variety of reasons. According to Export.gov, Australia has very few barriers to entry, a straightforward business culture, and a familiar legal and corporate framework. Not only that, Australia is an English-speaking nation, making it a comfortable fit for many US and Canadian business professionals. When you visit Australia as part of your market research, you may notice that Australian toll free numbers look surprisingly similar to those in North America. This, too, makes Australia seem like a good fit for your business. However, this doesn’t mean that your North American 1-800 number will work in Australia. For starters, there are fewer digits in Australia toll free numbers. Plus, North American toll free numbers only work in North America. Don’t let the fact that your existing toll free number won’t work in Australia stop you from what could otherwise be the perfect match. If you intend to do business in Australia, the best, and easiest, solution is to get an Australian toll free call forwarding number. This number will conform to Australia’s toll free system and dialing conventions, yet it will be call forwarded to the phone number of your choice. For example, let’s say you have a call center in Kansas City, Missouri where all of your customer service calls are handled. While you could build a call center in Sydney, Australia, doing so would be costly, difficult to manage, and time-consuming. In contrast, with an Australia toll free call forwarding number, you could be up and running in a matter of minutes. Simply publish this number on your Australian website and local marketing materials and set up call forwarding so that all incoming calls from Australia are routed to your existing call center in Kansas City. Depending on the expected call volume, you may not even need to hire additional CSRs. You certainly wouldn’t need to search for bilingual employees because of the common language between the two countries. Toll free call forwarding numbers aren’t your only option, either. You could also order local call forwarding numbers for various cities in Australia such as Bairnsdale, Hobart, New Castle, or Perth. Set up a “local” office (without the actual office) — By printing your local numbers for various cities in Australia on your business cards and marketing materials, you can make it look as though you have local offices throughout the country. Build trust with local partners — Overcome potential barriers to trust (such as foreign phone numbers) by getting your own local call forwarding numbers for Australia. Make it easy for local partners to reach you — Your local partners might not mind the expense of international calls, but they may be unfamiliar with the process. Make it easy by providing local or toll free Australia call forwarding numbers. Australia could be a fantastic match for your North American business, but you’ll need call forwarding numbers e.g. virtual number that divert Australia calls back to the U.S.
How will you use your Australian call forwarding service? Please share your usage ideas in the comments section below. Author 1118-signalPosted on July 1, 2015 Categories Global Call Forwarding, international call forwarding, virtual call forwarding, virtual number, Virtual phone numberTags call divert, call forwarding service, international call forwarding, Virtual call forwarding, Virtual phone numberLeave a comment on Will Your North American 1-800 Number Work in Australia? With roughly 3.3 million people as of 2013 estimates and consistently gaining attention as one of the world’s fastest developing nations, establishing a local presence in Uruguay could be a smart move. One of the best ways to tap into this market is with a Uruguay virtual number. Why Set Up a Uruguay Virtual Number? 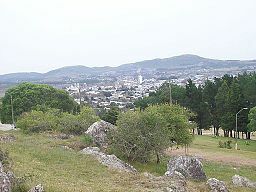 Uruguay is a representative democratic republic with a freely elected president – and a growing, free market economy. Its economy has an export-heavy agricultural sector with soybeans, horse meat, greasy wool, and beeswax among its main exports. The Port of Montevideo handles well over 1 million containers each year, and Uruguay has the one of the most developed telecommunications systems in Latin America. Setting up a Uruguay virtual number allows your business to appear as if it is operating inside of Uruguay. It’s a low-cost way to get started in the Uruguay marketplace. For example, if you offer import/export consulting services to the agriculture industry, having a local Uruguay virtual phone number would allow your clients in Uruguay to call you directly using a phone number that makes it appear as though your office is just down the street. Your clients may feel more comfortable working with someone with a local presence – and they’ll appreciate being able to dial a local or toll free phone number. When you get a local or toll free Uruguay virtual phone number, you are getting what’s known as a remote call forward number. The number itself is local to Uruguay so callers do not need to be concerned about international calling costs. The Uruguay virtual number, however, rings to the phone line of your choice – and your “ring to” phone can be located virtually anywhere in the world. The options are practically unlimited! In fact, you can change the ring to number as your needs change or even program a different destination based on the time of day it is in Uruguay. Virtual Uruguay phone numbers come with a variety of features and options such as auto attendant, time of day forwarding, local ringtones, rollover minutes, and more. You can even set up an optional call recording feature where all of your calls from your Uruguay virtual number are automatically recorded. 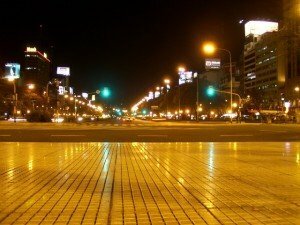 If you’ve been considering a move into the Uruguay market, getting a virtual number is an excellent way to establish a local presence and begin communicating with callers in the country. Ordering a Uruguay virtual number is easy and affordable. Select your new Uruguay virtual phone number now. We’d love to hear about your experiences. 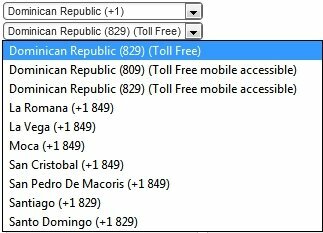 How have you used virtual phone numbers in Uruguay or other nations? Rather than giving clients your Los Angeles office number or your LA mobile phone number, you could get a virtual number for New York and another one for Barcelona. If you frequently conduct business on the go, a virtual phone is a must. Sure, you could give out your mobile phone number and hope your phone works overseas, but why would you want to do that? Do you really want customers, prospects, business partners, and colleagues to have your personal mobile phone number? Can you be sure that they’ll respect its sanctity once you return and can be reached via your office phone number? A virtual phone is the answer. What is a Virtual Phone? It’s not the phone itself per se, but rather the number. A virtual phone number is extremely portable. It is not tied to a single device or physical phone jack. Though your virtual phone number will have its own country and area code, you do not actually need to reside in a specific geographic area in order to get a local virtual phone number. It is truly virtual. For example, let’s say that you have a home office in Los Angeles but frequently help clients in New York and Barcelona. You also frequently travel to New York and Spain on business. Rather than giving clients your Los Angeles office number or your LA mobile phone number, you could get a virtual number for New York and another one for Barcelona. Once you get these numbers, you’d then log into your virtual phone account online and configure them to ring to your designated phone. When working from home, the ring to number would be your home office phone. When traveling, you can easily change it to your mobile phone, hotel room phone, temporary office space phone, or a disposal cell phone obtained in Spain. With a virtual phone number, you can be reached far and wide —whenever and wherever you want to receive phone calls. At the same time, if you don’t want to be reached, you can program your virtual phone to route your calls elsewhere such as to voicemail, a call center / answering service, or to your assistant. Features such as time of day routing, voicemail, and auto attendant are particularly useful. For example, you may want calls to ring to your mobile phone during local business hours and then ring to your voicemail after hours. Depending on your virtual phone service, you may even be able to receive voicemail messages as transcribed text via email. If you plan on being unreachable for an extended time period, you could set up your auto attendant to inform callers that you are unreachable and then give them options to either leave a voicemail message or speak with your assistant. Because your virtual phone number can follow you wherever you go, there’s no need to give up your personal mobile phone number. Imagine being able to attend your child’s baseball game or dance recital without being interrupted by clients who don’t realize that you’re enjoying some quality time with your family. Should you feel the need to be reachable, simply route your virtual phone number to your mobile phone and take calls as needed. The choice is yours. You can also use your virtual phone number to make cheap international phone calls. Remember, with a virtual phone number, you can designate any number as the ring to number. Need to call an important client in Barcelona from LA? No problem, simply change your Barcelona virtual phone number to the client’s phone number temporarily. Dial your virtual phone number which will now ring to your client’s phone. Discuss your business while enjoying your service providers low per minute rates for international calls and then end the call. Finally, switch the ring to number back and receive virtual phone calls once again. Being in full control over your availability is empowering; it’s good for you as well as for your contacts. Order a virtual phone number today. There’s no need to rent office space or hire a local representative. Instead, international call divert routes those calls to your existing office staff in your home country. Using an international virtual phone number is a fantastic way to create a local business presence in countries where you do business. It eliminates cost concerns and looks familiar. Your customers will feel more confident dialing a familiar looking phone number than they would feel if presented with an overseas phone number. They may also feel more confident in your abilities to serve them because you don’t appear to be located on the other side of the Earth. In addition to appearing local and eliminating cost concerns, an international virtual phone number can save you a great deal of money. There’s no need to rent office space or hire a local representative. Instead, international call divert routes those calls to your existing office staff in your home country. Finally, international virtual phone numbers are extremely portable. You can set them up to ring to any phone, at any time. For example, if you decide to travel to Dublin to meet with your clients in person, you could change your Dublin international virtual phone number’s ring to number to a temporary mobile phone that you buy once you arrive in Dublin. Your clients could then reach you using the same phone number. Likewise, should your main call center need to go offline due to a natural disaster, you can use international call forwarding to route your international phone calls to a secondary call center located elsewhere. Should you get an international virtual phone number? If you conduct business overseas, the answer is yes. Do you want to provide better service to your customers or remain readily accessible no matter where in the world you may happen to be? If so, using a call divert service is an excellent idea. Start with a reliable call divert service provider – You will need a service provider who: supports the countries involved, offers robust virtual phone services, provides high quality connections, and offers good rates. If you intend to use your call divert service to divert international calls, you will need an international call divert service provider that supports those countries. If not, a domestic service should be fine. It’s also important to choose a service provider that uses a high quality telecommunications network to route your calls rather than substandard VoIP routing. Make sure your call divert service provider offers the features that matter to you as well such as time of day routing, local ring tones, or auto attendant. Look for flexible service plans such as pay as you go plans with no contracts, no minimums, and no early termination fees. Configure your call divert service – Once you’ve ordered your call divert service plan, it’s time to configure it. The first task is to designate its primary ring to number. Remember, you can change this number at any time. Next, set up your voicemail greeting and any other features you intend to use. Explore your international call divert features – Most call divert services include some sort of Web or phone-based interface, or both. Familiarize yourself with these tools so that you are completely comfortable using it. Learn how to change your ring to number on the fly so that you can get the most flexibility out of your service as possible. You may want to bookmark your online call divert dashboard or memorize the phone-based call forwarding commands. Publish your virtual phone number – Now that you have your call divert service plan and are comfortable working with your new virtual phone number, start sharing your number with others. If you ordered the number as a means for your office staff to find you, let them know they should use this number to reach you until further notice. On the other hand, if you ordered your call divert service as part of a marketing initiative, start publishing that number. Add it to your website, Facebook page, advertisements, and so on. With a pay as you go call divert service, you can continue using your virtual phone number for as long as you deem necessary. Some call divert users keep their numbers indefinitely while others use them to track a single advertising campaign. By choosing a pay as you go service, the choice is up to you.